Are you prepared for all the action and excitement? Have you done everything you can to get the most performance out of your equipment? I am sure that you have studied and update parts for the best you can find. Have you studied what lubricants would be the best at protecting your engine and others parts or are you using the same old lubricants that you have used in the past? There have been many improvements in lubricant technologies and AMSOIL is in the forefront of this technology. 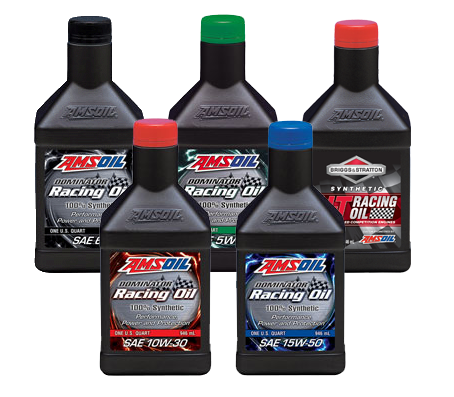 AMSOIL engine oils, greases, and gear lube have been designed to outperform and protect other brands. In doing this they last and protect longer.